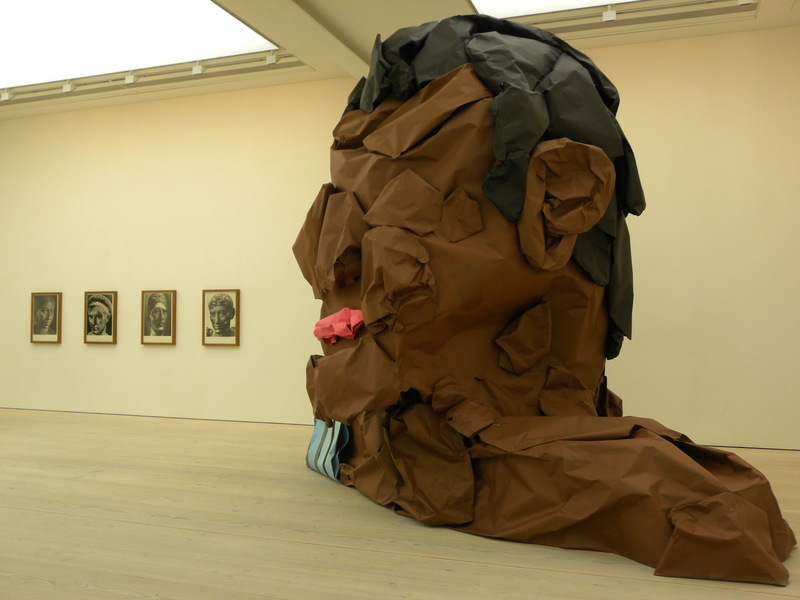 Saatchi gallery, often known for it’s preference towards shock art pleasantly surprised me this time with its exhibition entitled Paper. What a neat idea having an exhibition with the theme being the material in which the art is made of and in this case it’s paper. Having done quite a bit of origami myself in the past, I know the pros and cons of working with such a fragile, lightweight material and was therefore extra curious to see how various artists decided to tackle this challenge. 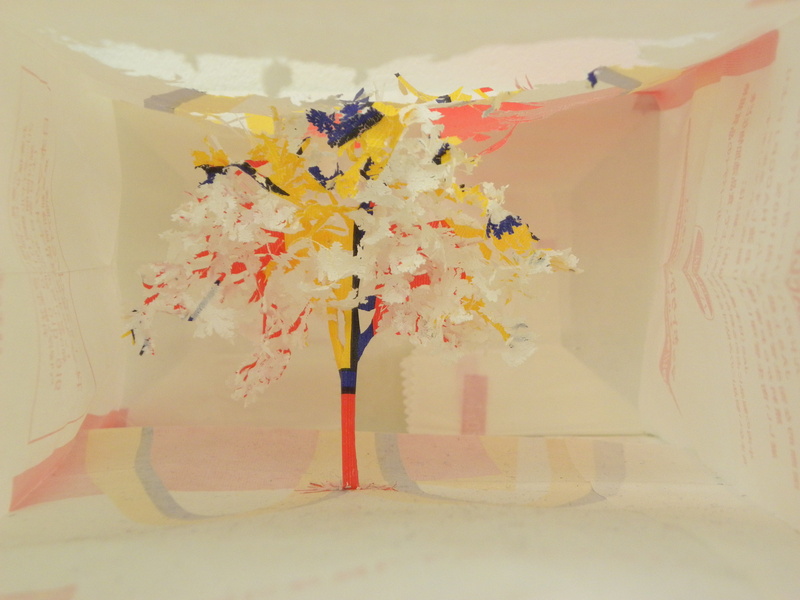 Japanese artist Yuken Teruya used something as ordinary and readily available as recycled paper shopping bags to construct a series of works such as this “Golden Arch Parkway” from a fast food McDonald’s paper bag. 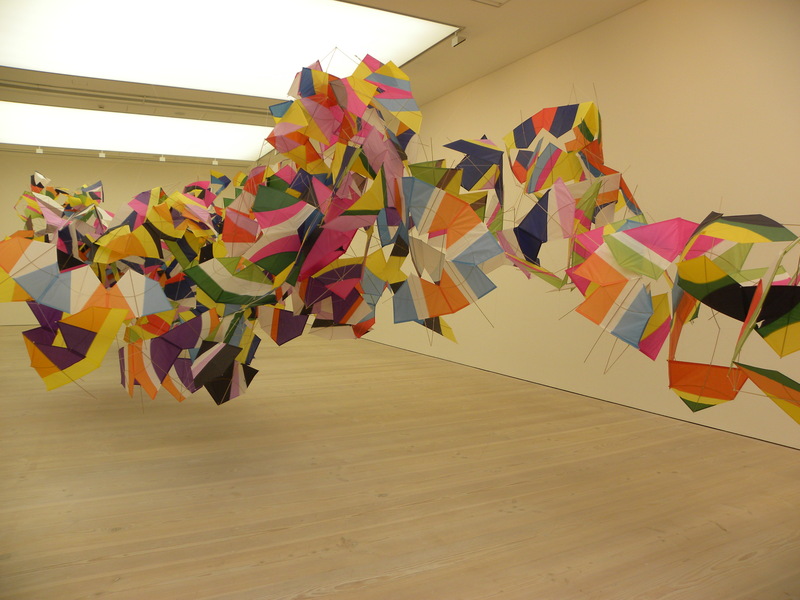 Portuguese artist Marcelo Jácome’s work Planos-pipas n17 (kite-planes), constructed out of tissue paper, bamboo, fiberglass and cotton thread levitating over the gallery floor. This entry was posted in Art, Culture, Exhibition, Inspiration, London, Sculptures and tagged Art, Culture, Exhibition, Gallery, Héctor Madera, Inspiration, José Lerma, London, Marcelo Jácome, Paper, Saatchi, Saatchi Gallery, Sculptures, Yuken Teruya by linneabylinneanilsson. Bookmark the permalink. Love these – they seem so joyful somehow. The Golden Arch Parkway is pretty, can’t believe it came from a McDonald’s bag!